The “most famous American Muslim ever” was remembered and mourned in a Jenazah prayer service Thursday in Louisville, Kentucky. 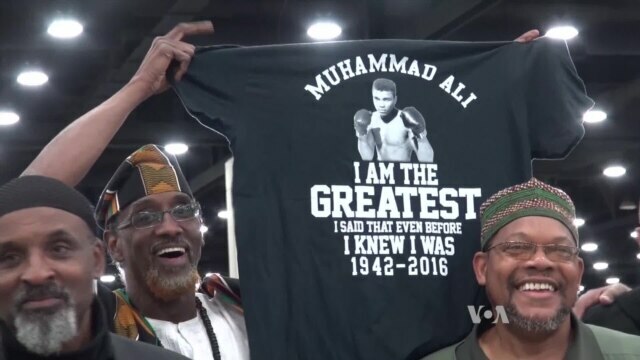 “People did not know there is Islam in America before Muhammad Ali,” said Mohamed Magid, imam of a mosque outside Washington, D.C., one of the largest in the United States. “They didn't know how many Muslims are there — who are they — but Muhammad Ali brought that ... to the front. He is the most famous American Muslim ever," Magid said. Like many of the thousands attending the service in Louisville's Freedom Hall, Magid is not a native American. 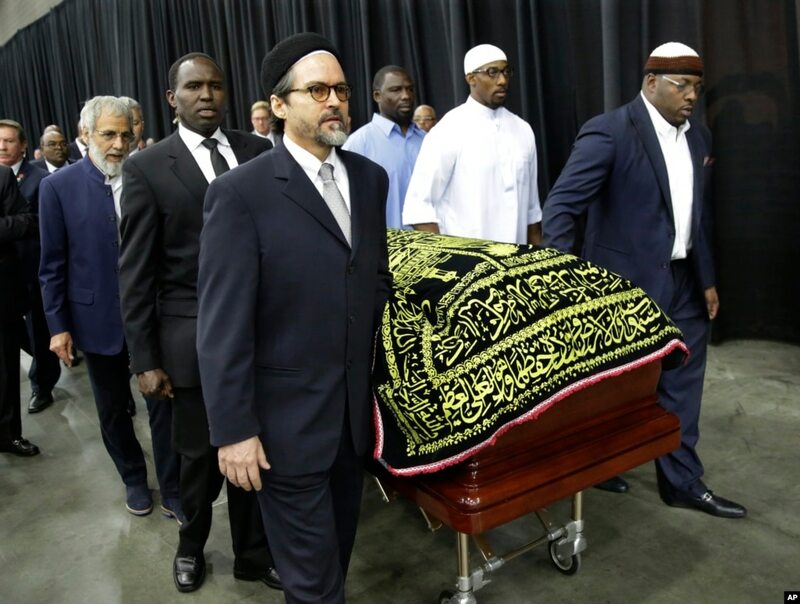 Muhammad Ali's casket is escorted by pallbearers for his Jenazah, a traditional Muslim service, at Freedom Hall in Louisville, Ky., June 9, 2016. He came to the U.S. from Sudan in 1988 and now ministers to 30,000 Sudanese at the All Dulles Area Muslim Society near the nation's capital. What Magid loved about the funeral for the famous boxer, who died last week of complications from Parkinson’s disease, is that it drew Muslims from all over the world. “Shia, Sunni, Salafi, Sufi, name it. All of them are here," he said. "That is Muhammad Ali." Magid met Ali twice, the first time in Sudan, where the Sudanese embraced the boxer as if he were one of their own. And no wonder. Ali was a household name in Sudan. 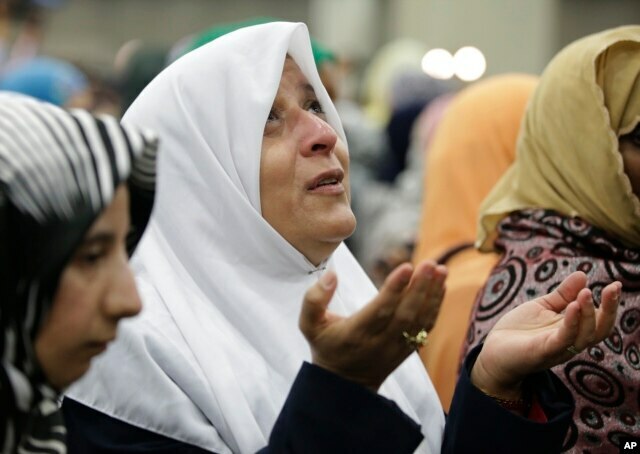 A Muslim woman prays before Muhammad Ali's Jenazah, a traditional Islamic service, at Freedom Hall in Louisville, Ky., June 9, 2016. The Jenazah not only generated good vibes inside Freedom Hall but potentially sent them around the world. 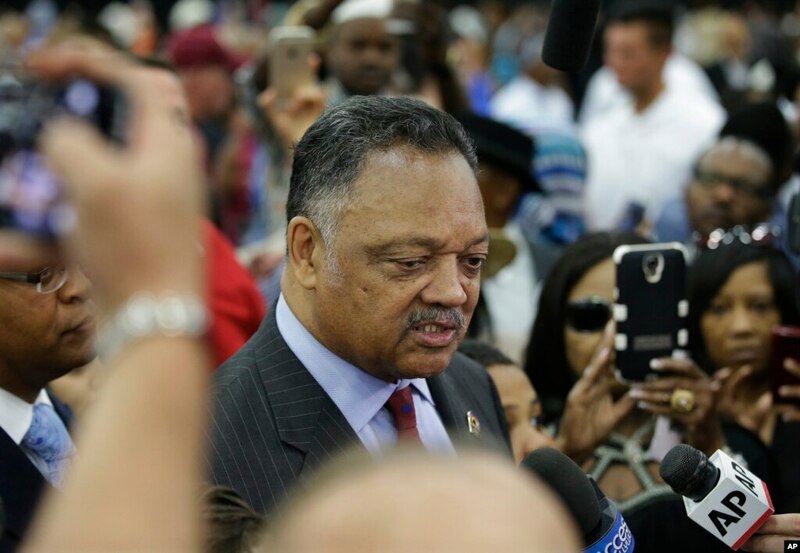 Civil rights advocate Jesse Jackson said the service reaffirmed that Islam is a religion of peace. American civil rights activist Jesse Jackson speaks to members of the media before Muhammad Ali's Jenazah, a traditional Muslim service, at Freedom Hall in Louisville, Ky., June 9, 2016. Nadia Hassan, a Muslim-American from California now living in the Washington area, came to the Jenazah to stand in for her deceased father and uncle, who had been friends of Ali. “I'm here to represent the Hassan family, and we are just here to pay our respects to the Ali family,” she said. Hugging a picture of herself as a baby with Ali, Hassan said that in today’s environment, which is often not friendly toward Muslims, she holds on to what Ali stood for and "his contributions to society, his contributions to the world, what it means to be truthful, honest, to stand up for justice, to speak truth to power. To fight back against systemic racism. Not to allow anyone to bully you." Muhammad Ali's wife, Lonnie, and her daughter Laila attend Muhammad Ali's Jenazah, a traditional Muslim service, at Freedom Hall in Louisville, Ky., June 9, 2016. Laila is holding her daughter, Sydney Jurldine Conway.